We explore the connection between the macroscopic world of particles and the macroscopic world of gases. This should be accessible to high school students with an interest in math and physics. 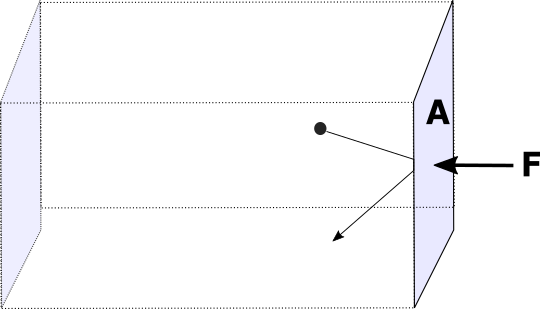 Making some simple assumptions about how particles move and how gases behave, we derive the ideal gas law which connects pressure (P), volume (V) and temperature (T). 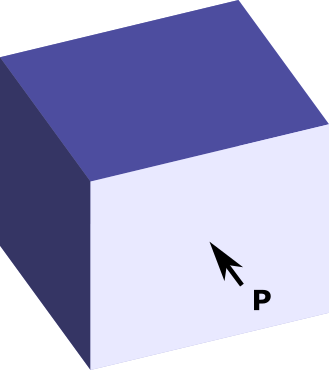 Let's imagine a box of volume V filled with N particles. 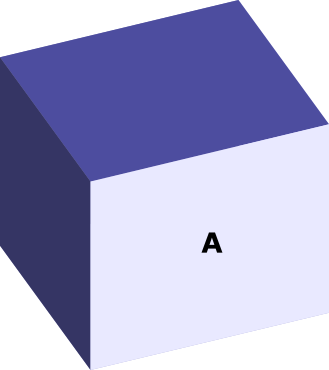 One of its faces has an area A. Instead, we imagine containing the gas, by providing the necessary pressure from the outside. what force F do we need to exert to prevent the gas from expanding? Let's assume a particle collides with a face of the box in an interval of time Δt. Let's start by considering the force necessary to contain a single particle. Let's assume this particle is moving with velocity v, which has 3 components, vx along the x direction, vy along y and vz along z. Let's consider our moving wall is along the x direction, and ask about for force that this particle creates on it. 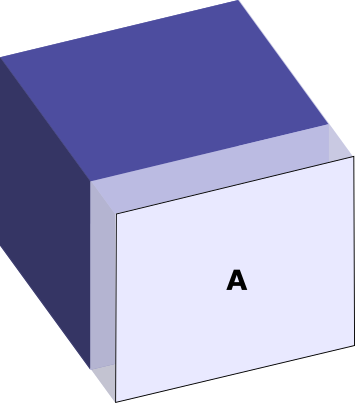 Assumption: Collisions with the walls of the box are assumed to be elastic. Note that elastic, in this context, means something different from the elasticity of a rubber band or a spring. An elastic collision is one in which momentum and kinetic energy are conserved. By contrast, in an inelastic collision, the kinetic energy before the collision can become sound, heat, or an internal vibration or deformation of the object. Atoms are assumed to collide like perfect billiard balls (and produce no sound, since there is no air between them to carry any sound!). An alternative formulation that you will often see uses the gas constant R and the number of mols n, where nR = Nk. Thanks: Special thanks to Mia Oleksak for her comments on the draft.